Have you figured out the difference between Windows 8 and Windows RT? What matters you should take into consideration when choosing Windows 8 or Windows RT? So for anyone trying to make sense of the differences between Windows 8 and Windows RT, the following explanations will do you a favor absolutely. 1. What does Windows RT stand for? Windows NT was said to stand for “Windows New Technology”, however, Microsoft has never explained what Windows RT is officially. 2. When can I get Windows RT? Windows RT hardware should be available around the time Windows 8 launches, somewhere on or about October 26. 3. Why are there two editions? Microsoft hardware partners should be money oriented. 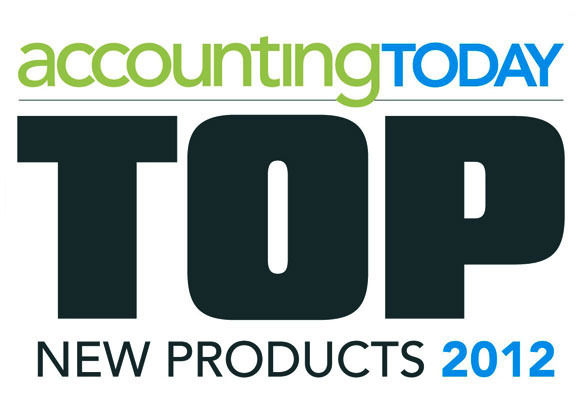 The success of Apple iPad convinced manufacturers that a product should be marketable. Windows RT gives tablet makers the option to make better and cheaper Windows tablets that run on less-expensive, less-power-hungry ARM chips instead of the standard Intel X86-style processors that other versions of Windows require. However, the main Windows code base is designed around X86, so total compatibility between the versions is still impossible. 4. What is the difference between Windows RT and Windows 8? 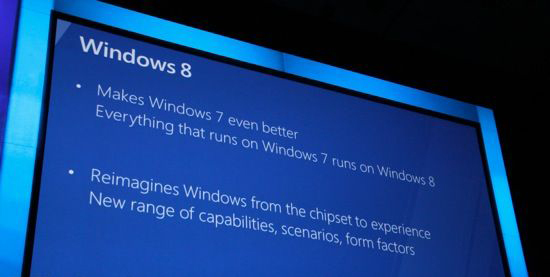 Windows 8 is a PC operation system while Windows RT runs on ARM chips, the embedded microprocessors that power smartphones. Instead, Nvidia, Qualcomm, and Texas Instruments have signed on to manufacture chips to power Windows RT systems. 5. Is Windows RT a PC operating system? You can say either YES or NO. Windows RT can not run on a PC processor, but Microsoft has stated that PC-like devices will be made by Windows RT partners, including tablets, traditional clamshell laptops and convertible devices. 6. Will Windows RT and Windows 8 work in the same way? 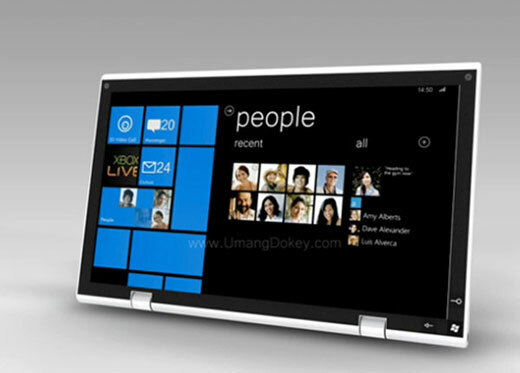 It is similar to Win8 Surface. Windows RT apps base on what is formerly called “Metro” (now the “Modern UI). The difference lies in that Windows Media Player is not included in Windows RT, or we can say that Windows RT sounds like Metro, plus Internet Explorer, plus an RT version of the Microsoft Office productivity suite. There are many complex applications and software covered in Windows 8. 7. Can I buy or upgrade to Windows RT? No. Windows RT will come only bundled on dedicated hardware, for example, tablet. Later, Microsoft will release downloadable patches and updates. 8. Who will manufacture Windows RT hardware? That’s a bit up in the air right now. Asus, Dell, Lenovo and Samsung have all said that they plan to manufacture Windows RT devices. 9. What will Windows RT tablet look like? Microsoft claims that it is able to play animations at a fluid 60 Hz, and can share photos, URLs, map directions and other information via “bump”. The Surface RT tablets will be able to play HD video continuously for about 8 to 13 hours at screen brightnesses of 200 nits. 10. How much does Windows RT cost? 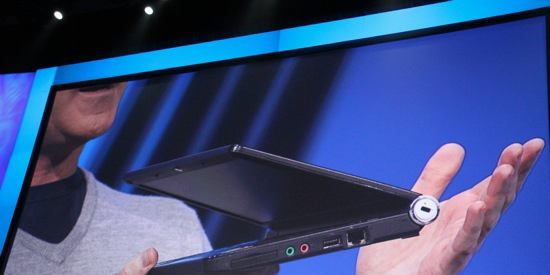 Microsoft has said that Widnows RT tablets will be “competitve” with the prices of existing ARM-based tablets. Some think this means about $399 or above, about the price of an Apple iPad; others think that a $200 tablet priced at about the level of an Amazon Kindle Fire or Google Nexus 7 fits the definition. 11. Is Windows RT compatible with Windows 8? Both YES or No can be the answer, for Windows 8 is a superset of Windows RT. Windows RT apps will work on Windows 8, but Windows 8 apps will work on Windows RT only if they’re specifically designed for both operating systems. 12. Can I run my old software on Windows RT? No. Software designed for Windows 8, Windows 7, Windows Vista, Windows XP or earlier versions can’t run on Windows RT, at least natively. Windows RT is an entirely new beast. 13. How can I run software on Windows RT? Microsoft will launch a version of Microsoft Word, Excel, PowerPoint and OneNote for Windows RT, which are suitable for both touch and minimized power consumption. Internet Explorer 10 and File Explorer will also be included. Users can purchase other apps from Windows Store. So until then apps should be a vital part of Windows RT tablet. 14. What’s developers’ view on Windows RT? Until now, Windows RT is still a trial balloon for most developers. However, Microsoft claims that some 90% of the apps already submitted to the Windows 8 store will run on Windows RT. 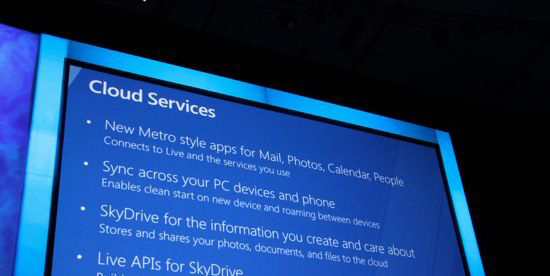 Microsoft has also said that the “common core” between Windows 8 and Windows Phone 8 will allow apps developed for Windows 8 to be easily ported to Windows Phone. But some modifications should be made. News from PocketNow introduces the features of the latest smartphone product Windows Phone 8 Apollo for cooperative partners for references, and after the analysis someone states that Windows Phone Mango is a very stable platform, faster than Android. As for hardware, Microsoft has improved the phone to a new level: the product will support multicore processing technology, NFC, complete microSD card storage. Apollo will also support 4 types of screen resolutions. Windows Phone 8 will not only share a UI with the next generation desktop and tablet system, it will also employs a lot of components which are the same with Windows 8. When developers transfer their applications from desktop to mobile phone, Windows Phone 8 will allow them to reuse most of the codes. Windows Phone 8 kernel, network protocol, safety and the multimedia support will be the same with Windows 8. This action from Microsoft seems to solve many problems of Windows Phone, including more advanced network support, entire disk encryption and business function support. Further influence is that Windows Phone will synchronize with desktop system in advance, and can better compatible with all kinds of Windows Phone 8 auxiliary programs. According to PocketNow, developers should be very pleased with this product because they can transplant a Windows 8 application to Windows Phone platform conveniently. 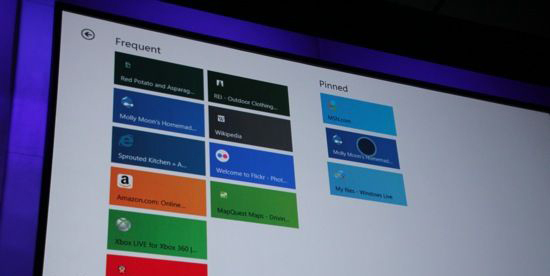 And NFC technology can let users “click and share” information conveniently between various Windows 8 devices. Although Microsoft has been promoting its Tango video chat application, Windows 8 will still integrates Skype and improves video and audio call quality to a large extent. There should be over 100,000 applications in the market when Microsoft makes an official release of Apollo. At the same time, developers should also obtain the related development codes, and will be able to integrate the communication function between applications. Microsoft have made an inventory of the main functions of Windows 8, they presented a new image of Windows 8 with Macroscopic Angle. If you still have an ambiguous concept to Windows 8, it is sure that you will have clearer understandings to Windows 8 after you had read this article. The websites are set up in the home position of Windows 8 device in order to provide the users with a faster and smoother touch browsing experience. Your experience, full screen interface that provided for application program and your high attention to it are the focuses of Windows 8 Metro interface. The application program has the function of “communication” in Windows 8; for example, you can send photos (including which are in Facebook、Flickr or your local files) to your e-mail breezily at different places. You can get all the contents that are needed in life through Cloud Service—Picture, E-mail, calendar and address book, you device can keep these contents updated constantly. In the meanwhile, by means of SkyDrive, you can wherever and whenever acquire the latest pictures, files and so on through browser or the application program with Windows 8 Metro Style. Compared with Windows 7, Windows 8 have some improvements on the aspects of Performance, safety, privacy and system stability, what’s more, more space can be provided to your application program for the reason that the RAM occupation is reduced, it can even run smoothly on the most low-end hardware. Everything that can run on Windows 7 also can run on Windows 8. Windows 8 has perfected Task Manager and Resource Manager (Ribbon interface), meanwhile, it provided the easier bran-new multi-screen settings options. Wherever has Windows, Windows Store can help the developers to sell their own application programs to all over the world. It supports DirectX 11, developers can set up full screen games easily and acquire the smooth operation expedience. Windows 8 supports ARM chipsets, x86 framework equipments; and it had transferred from 10’’ tablet PC to 27’’HD screen devices. 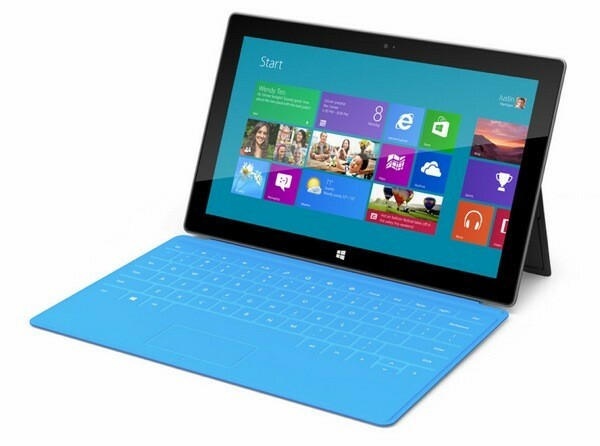 Thanks to Windows 8，the ultrathin PC and the tablet PC can realize WSWink–Start function. Being charged once, it can work constantly for one day, what is more, it can keep your PC realize the network interconnection function constantly. 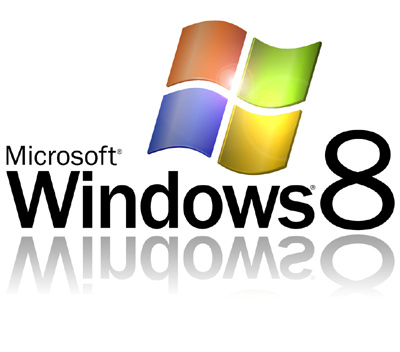 Windows 8 can be compatible with Windows 7 PC and the current application programs. Compared with Windows 8, Windows 7 have already occupied 404MB RAM when operating 32 processes, and Windows only occupied 281MB RAM when operating 29 processes. What’s more, only 8 seconds are needed to have HP laptop with Windows 8 started up and worked. The virtual keyboard、separated keyboard and hand input are supported by Windows 8. In the meanwhile, we can synchronize the settings in Metro control panel by the “Cloud” function. Products in Windows Apps Marketplaces can be searched according to their subclassifications, price and release dates. 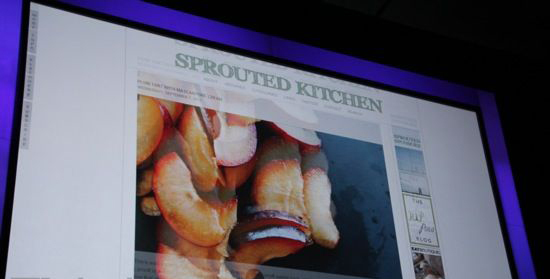 What shows on right frames of split-screen multitasking interface are the operating processes.